Pauline has been gardening for over 40 years and has a passion for beautiful flowers & flower arranging. She loves perennials and one of her many favorites is 'Meconopsis' although "it's so hard to choose since I like most flowering plants." Kerry continues her 'families heritage' of gardening with her over 40 years of experience. Her passion is "just digging in the dirt" and loves beautiful blooms, foliage & textures in the garden. Renee has been gardening for over 18 years and started at a young age picking fruit & veggies on her Grandmother's farm. She has a passion for propagating & growing her own plants for her containers. Her favorite flowers are Iris' and believes "Gardening is good for the soul." Rebecca started working in the gardening industry in the late 90's. She loves plants so much she obtained her CPH certificate years ago and continues her education today. Rebecca loves dwarf conifers and all Japanese maples, "I enjoy all the color & texture that these plants have to offer all year." Trevor started in his grandmother's garden and now has over 30 years of experience. His passion is sharing his love for gardening with his two boys just like his parents did for me. When choosing a favorite plant he said "That's a tough one.. How 'bout I'm a 'plantaphile!'" Daniel got his first love of gardening here at Sunnyside & has been with us ever since. 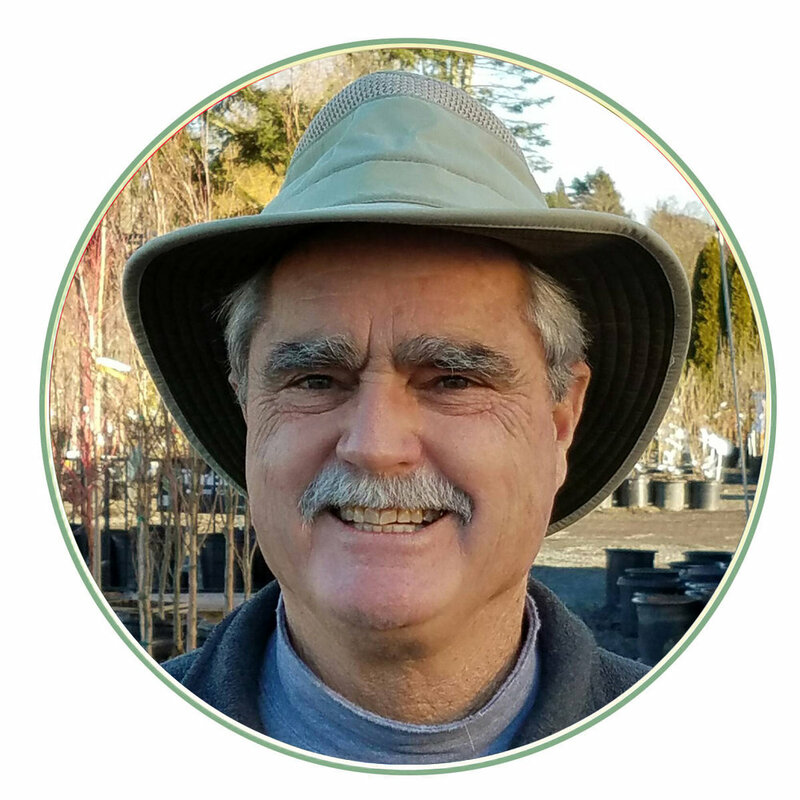 He's passionate about roses & Japanese maples, all of their many stunning varieties. He loves helping people create beautiful yards for their homes. Ask him anything and he'll help you out! Plants have always been a source of joy, comfort & wonder for MaryAnn. Crocus blooming in the snow, finding that wild orchid in the forest, the colors of fall, asparagus in the spring & unwinding in her garden - all bring enjoyment to MaryAnn's life. "What's not to love? Plants rock." Mikki has been gardening in her yard for years. Her favorite flowers are spring blooming bulbs, they let you know it's time to get outside again! She has been an avid antique collector for many years and has brought her great eye to our gift department. Need advice on decor or gifts, Mikki is the person to talk to! At Sunnyside Nursery, we are proud of the fact that we have five Certified Professional Horticulturists (CPH) on staff. But what exactly does that mean to you, the consumer? It means that you can be confident that you are getting excellent gardening advice from employees who really know their stuff. That’s right! Just like any other professional, we go through an extensive training period. We study botany, plant propagation, entomology and other sustainable gardening basics. We also study plant naming and identification, and homescaping. After we hit the books, we have to prove ourselves worthy. We take a written exam, testing our skills and knowledge as a horticultural professional, based on study materials and practical applications. In addition to being book smart, we have to be garden smart. Would you want gardening advice from someone who was afraid of a little dirt? Well, neither would we! That is why CPH’s must have at least 2,000 hours in the field or one year’s work experience with a licensed nursery, landscape contractor or WSNLA approved business or institution. After passing the exam, CPH’s are required to improve their knowledge and skills by taking classes and seminars in order to maintain their certification. So, when you have lawn and garden questions, ask a CPH. They really know their stuff!